pseudoparanormal: Lavender Oil: The Miracle Treatment? Many questions surround the mysterious world of essential oils. Scientifically speaking, is aromatherapy effective? Aromatherapy is popular with many people in the United States and around the world. Specifically, what is the efficacy of lavender oil, an especially popular essential oil? 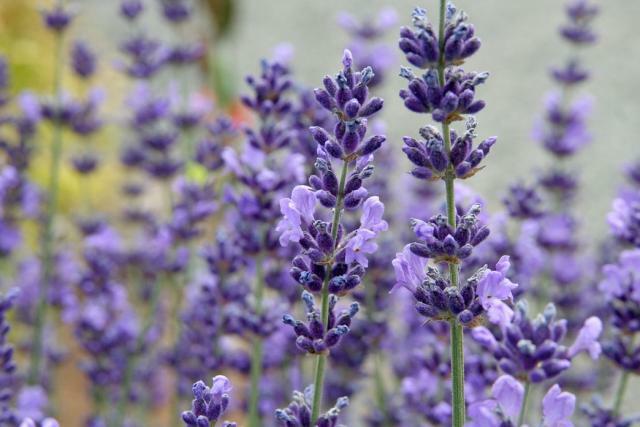 Is it healthier to use lavender oil rather than traditional medicines? Second, what is the purpose of aromatherapy and essential oils? Generally, they are used as a form of alternative or complementary therapy for everyday ailments, chronic or acute. Many people frustrated with conventional treatments, like over-the-counter and prescription medications from a doctor, may consider the use of essential oils. Some people may simply use essential oils for issues that other medicines cannot treat, such as chronic stress and exhaustion. Others may be wary of conventional fragrances and beauty products, selecting essential oils instead. Third, which point of view backs up the use of lavender oil? In a health food store, one may see an extensive selection of essential oil blends with various purposes. Bottles may be labeled with names such as “Stress Relief,” “Joy,” and “Sharp Mind,” implying that use of these essential oils, via inhalation, use as a fragrance spray, or diluted in a lotion, will improve ailments such as stress, sadness, and dementia. Lavender oil is usually present in essential oil blends, and is also sold by itself. Many people believe in the effects of essential oils, such as lavender, and share testimonials of how it treated a certain ailment. A database from the National Institutes of Health lists a fair amount of lavender oil’s uses, such as treatment of migraines, joint pain, dementia, nervousness, and more (MedlinePlus, 2011). Fourth, what kind of information do we have to prove the efficacy of lavender oil? Unfortunately, very little data supports the claims of lavender oil’s many benefits. This is mainly due to a lack of repeated, consistent studies on lavender oil, so many claims are found to be inconclusive. According to one study, lavender oil may be effective for treating baldness, but the study conducted did not test lavender oil alone; just lavender oil in a blend of other essential oils. Other studies suggest lavender oil may help with issues like mild insomnia, and even improve general well-being, but more studies are needed to reach a true conclusion about the effectiveness of lavender oil (MedlinePlus, 2011). Fifth, what are the implications and consequences of using lavender oil? Ultimately, the greatest risk of using lavender oil properly seems to be a lack of positive outcomes for treatment. Lavender oil may cause skin irritation, especially if used undiluted. It is best not to use lavender oil during pregnancy and breast-feeding, or around the time of a surgery, because of its possible action as a depressant. Also, it is important not to use certain essential oils on children, as lavender oil has been found to contribute to gynecomastia in young boys due to a possible endocrine-disrupting mechanism. Also, excessive sleepiness may occur as an interaction if lavender is taken with drugs such as barbiturates, CNS depressants, and chloral hydrate (MedlinePlus, 2011). MedlinePlus. (2011). Lavender. Retrieved from http://www.nlm.nih.gov/medlineplus/druginfo/natural/838.html .